Students and professors are adapting to new technology on campus, and it’s changing collaboration in higher education for the better. 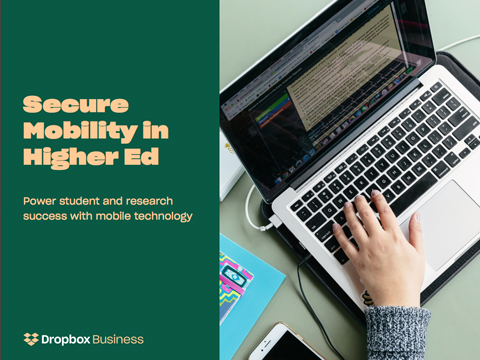 Savvy professors are using mobile technology to engage their students in new and exciting ways. Researchers, no longer bound by physical hard drives or the confines of the lab, are unlocking scientific breakthroughs across campus and across the world. Dropbox Education can take learning environments to new heights and open up academic collaboration, while complying with the standards and regulations important to institutions like yours.